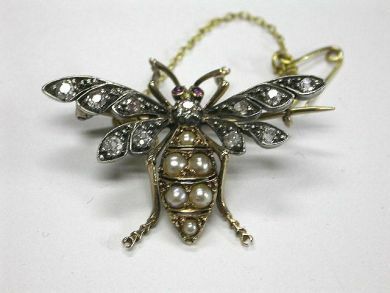 Antique 14 karat yellow gold with silver top wasp motif brooch. Eleven old European cut diamonds (0.63 carats: Si1 clarity: H-I colour). two synthetic rubies. Six seed pearls (2-3.2mm).